Tim Needham has supplied information regarding the erection of a memorial to Sgt. Windridge. Just to let you know that plans are well under way to provide a memorial over the sadly unmarked grave of Sgt Joseph Lenford Windridge (2/24th Regiment), defender of Rorke's Drift. He lies buried in Witton Cemetery, Birmingham. 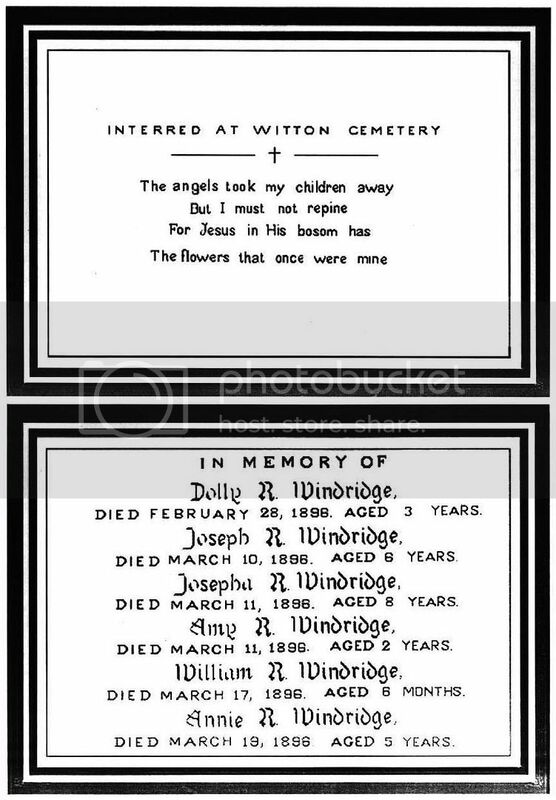 Although he was buried in a communal grave, the cemetery authorities have kindly agreed that a simple 'desktop' type memorial can be placed on the plot; I spoke to a local stonemason recently who is willing to provide, inscribe & erect the stone at cost price (£300 instead for the usual £600). The good news is that most of this has already been raised, therefore if anybody is interested in contributing a small donation to help make up the remaining amount do please PM me. Although one of the instantly recognisable names of the battle, it is worth reading Kris Wheatley's chapter on him from her series of books ('Legacy of the Rorke's Drift Heroes') to appreciate the particularly sad life he had on his return home. Some members will be aware that two other Rorke's Drift men also lie buried in unmarked graves in the same cemetery (Ptes 1495 Robert Cole & 1399 Samuel Parry, also of the 24th Regt), and it is hoped that they too can be commemorated at some point in the form of a memorial plaque - this would be a nice idea if enough money was raised. As ever, I will endeavour to arrange some kind of rededication ceremony later on in the year. Thanks for all your effort Tim. Will you let us know of any dates when you know them. Regarding the other two, if a donation is to be made, do you have details on how payments can be made. Approximate post code for the cemetery is B6 7AE. on where cheques can be sent etc. Nice one Tim, well done. I would like to make a contribution and have PM'd you with details. see map with postcode. The ceremony will take place virtually next to the chapel. Parking can be found close to the chapel. wants to contribute, they can contact Tim for more info, or where cheques can be sent etc. As ever, all are welcome to attend. The time for the ceremony has had to change. It will now commence at 12.30p.m. he and his wife lost six of their children in the space of 21 days. I didn't know that - what a tragedy. I'm planning to attend the ceremony. It would be good if any other members were able to go as well. because they have respect for the defenders and want them to be remembered. I'd like to thank Tim Needham for his continued efforts in this regard. I echo that sentiment. I can't be attend but hope that it goes well. I'll post details on Ian Knight's Zulu Facebook page. (approx. 1.5 miles from the cemetery). on the parking lot immediately outside the front of the building. 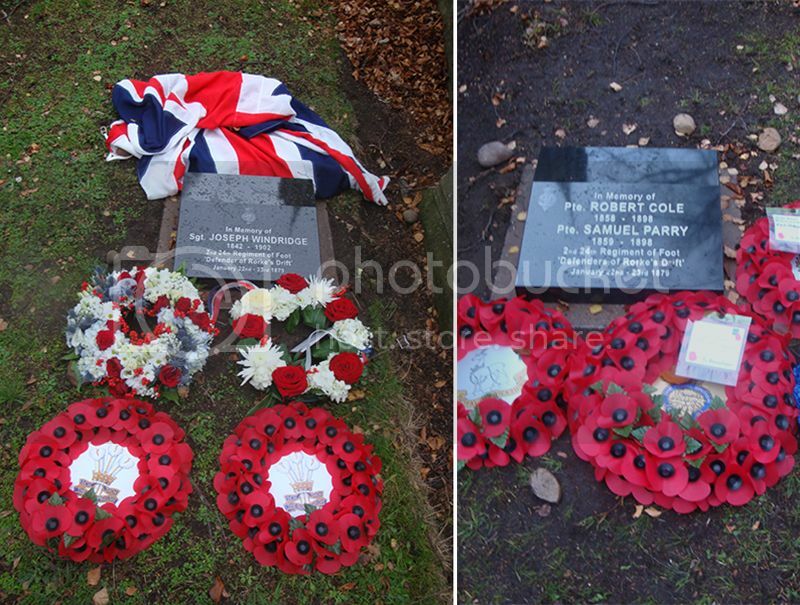 three Rorke's Drift defenders who are buried in Witton cemetery, Sgt.Windridge, and Ptes Cole and Parry. and relatives of the defenders. The Diehards provided the guard. After the welcome by Councillor Anita Ward, Bill Cainan, former Curator at Brecon, gave a brief talk on the events on 22nd. January 1879.
and some of his misfortunes given by Graham Mason. The high wind and the noise of the distant M6 motorway weren't helpful. 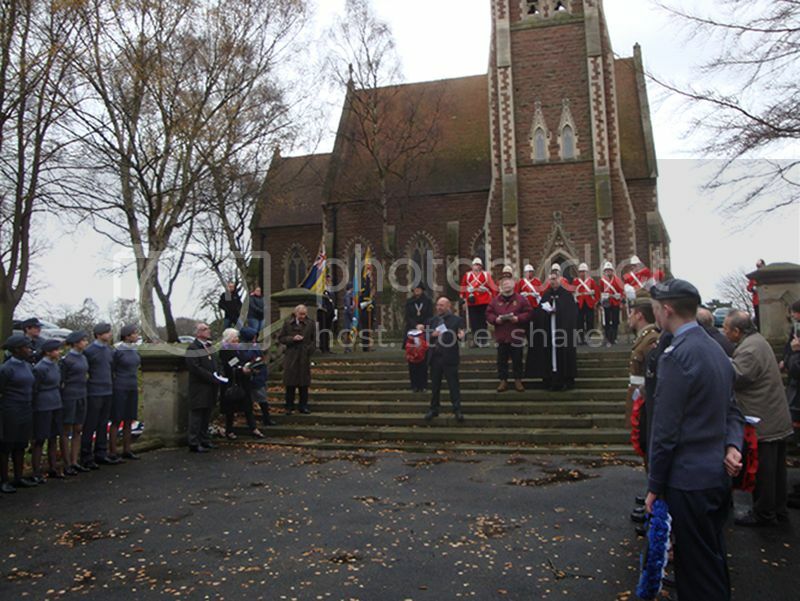 Finally Father Oliver Cross, Royal British Legion, said prayers followed by the Last Post. Sgt.Windridge and for Ptes Cole & Parry by Sandra Barker, descendant of Pte.Hitch. Wreaths were laid. Our thanks go again to Drum Major Tim Needham RM for organising the event and to all those who contributed money and effort. Thanks Alan - and Tim for the sterling work.